The Menomonee Falls Taxpayers Association is pleased to endorse two solid taxpayer champions in their bid for re-election! Katie and Chris have been tireless advocates to hold spending in check, to keep Menomonee Falls affordable. Join us in voting for Katie and Chris on Tuesday, April 4th, 2017! Request your yard signs now! $5 donation per sign to cover costs appreciated. Email mftax@passportwisconsin.com right now – ASAP delivery! 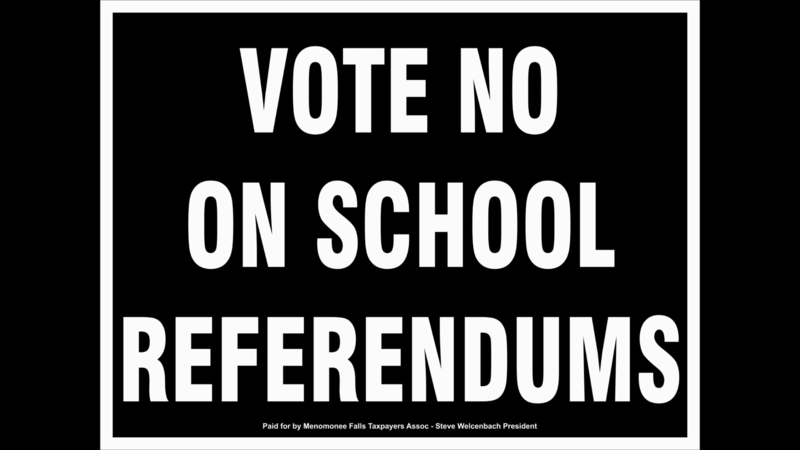 Questions on the Menomonee Falls School District Referendum? 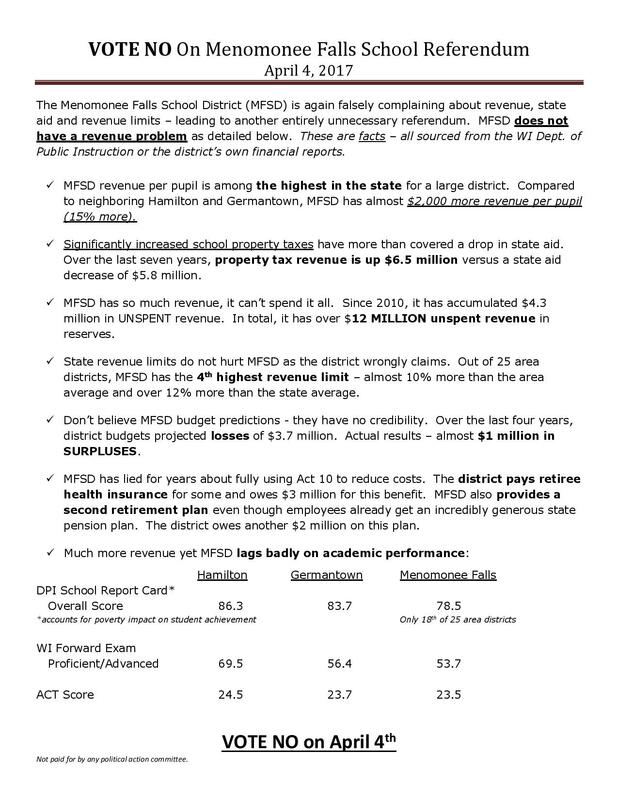 On April 5th, voters in the Menomonee Falls School District will be asked to vote on two different referendum questions, one for “maintenance” and the other to lift spending caps by millions a year.